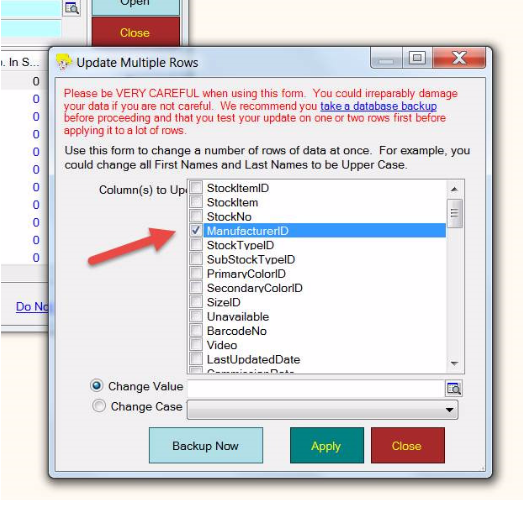 You can do this using the Update Multiple Rows feature. 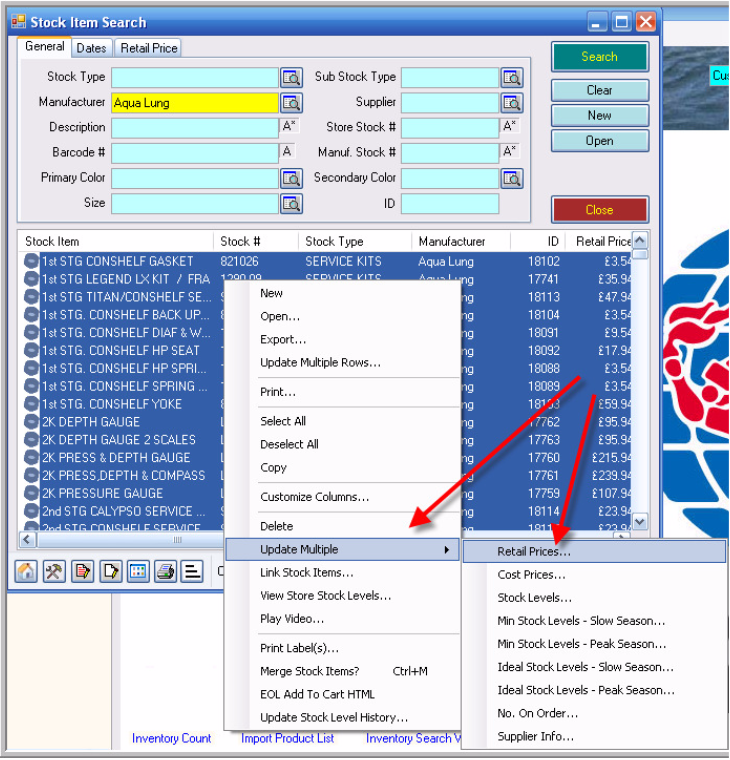 First, you must test this on one stock item to ensure you have the results as you wish. 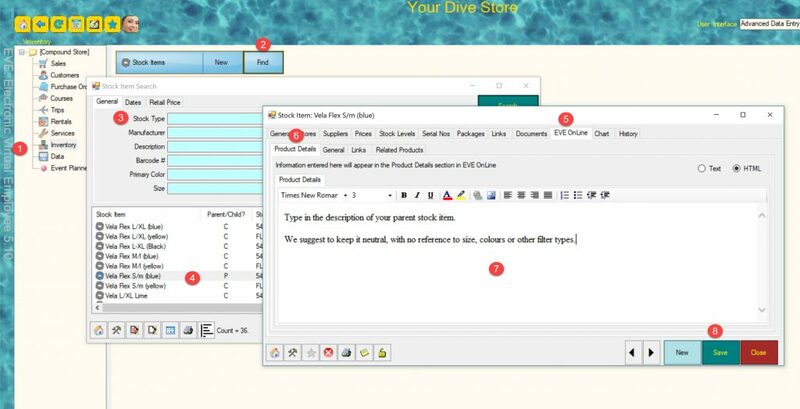 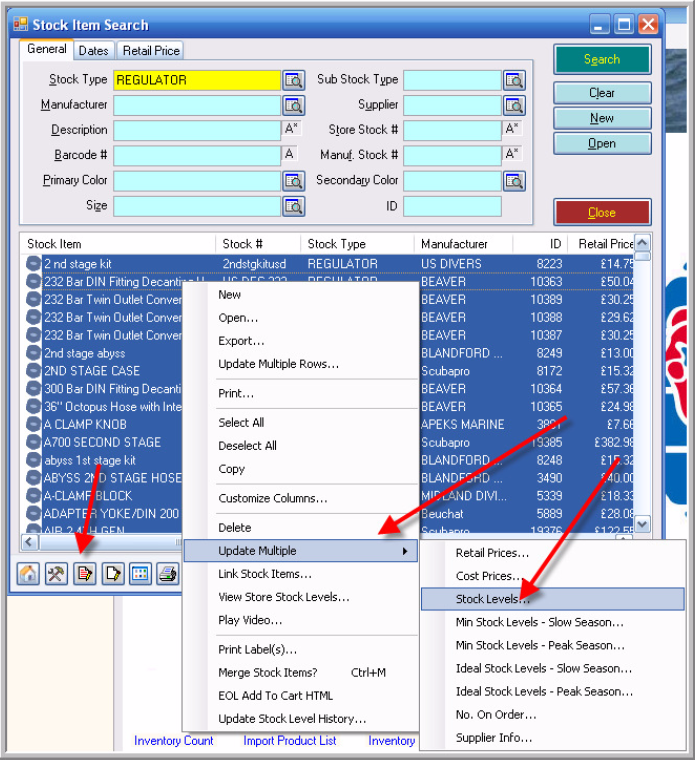 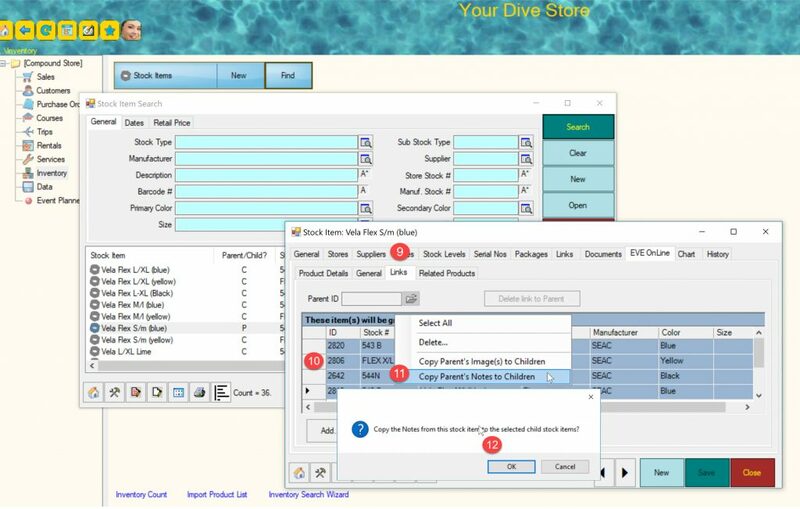 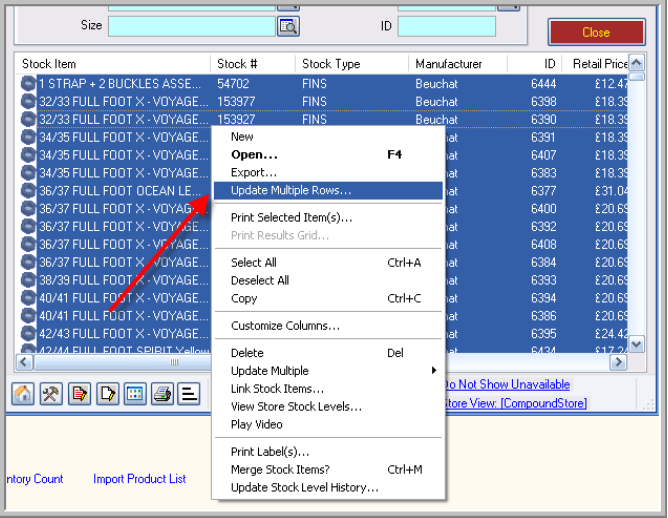 Go to the stock items in question – Inventory / stock items / find – and then select all and right click on the results. 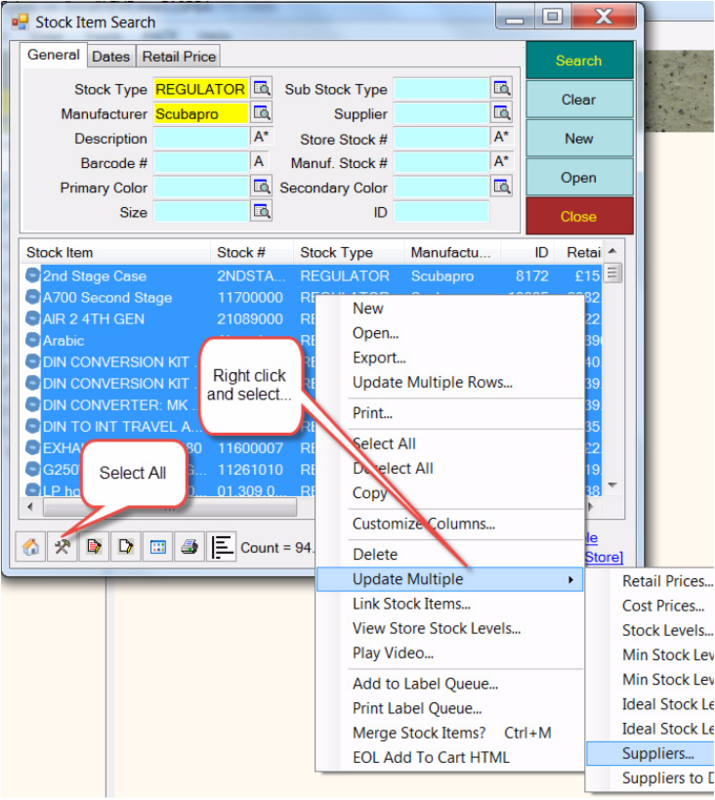 Select ManufacturerID as the field to update. 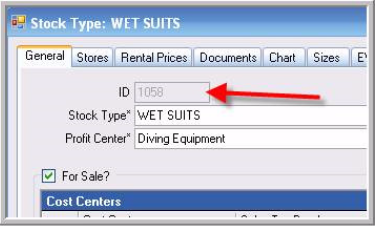 Enter that ID number in the Change Value To… box. 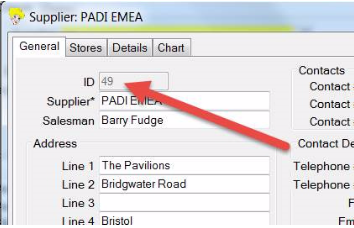 You will need to have the ID of the manufacturer yo u wish to change to. 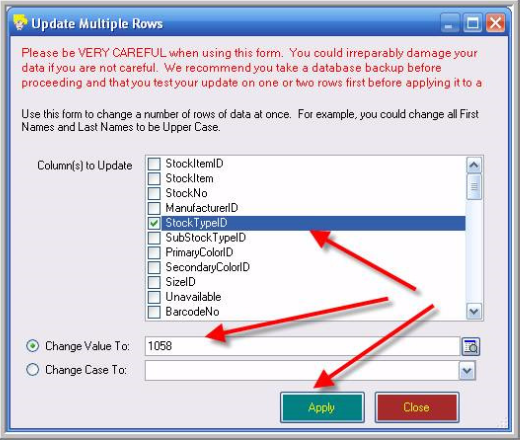 Before doing this take a backup of the database in case you make an error. 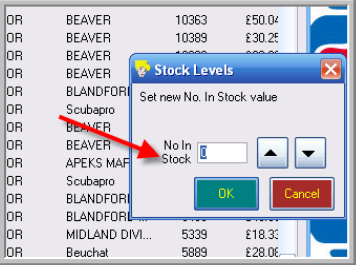 Then, you can zero out all stock levels by selecting all stock items in Inventory / Stock Items / Find so call up all those stock items and then Select All.